featuring music and public affairs, language and culture presented by the various guests and guest-hosts. The program invites guests, to air music from their own collections, and speak about their communities in KC and back home. (Engineering and technical expertise provided by KKFI/Global Roots Crew). Alex Martinez hosts GRR! Flameco, AIRR and more…. April 14, 2019 | 3:00 p.m.
2019 KKFI Band Auction! April 7, 2019 | 3:00 p.m.
Celtic Roots Fest Preview with Gerald Trimble March 31, 2019 | 3:00 p.m.
A taste of the Celtic Roots Festival with live music, conversation and many of the featured bands! join GT and Global Roots Radio for two hours of Celtic roots music! Nowruz celebration in music and poetry! happy Spring and Vernal Equinox! March 24, 2019 | 3:00 p.m.
it may be the 10-year anniversary of the inscription of on the UNESCO List of the Intangible Cultural Heritage of Humanity (2009) .... but many Central Asian cultures have been celebrating it for thousands of years! Happy Spring and Vernal Equinox! India Show with Venkat Manda & guests! March 17, 2019 | 3:00 p.m. Stories from Kumbh Mela in India and music from Anoushka Shankar and more! Tune-in! Alex Martinez speaks with Advocates for Immigrant Rights, Latino Arts Foundation and more! March 10, 2019 | 3:00 p.m.
Deanna Munoz from Latino Arts Foundation, Inc. will stop by to chat with us about whats coming up for them. Did you miss the KC Tenants launch? tune in for the press conference audio. I'll play some cumbias too, so tune in and dance with us! Medea Benjamin in Kansas City! 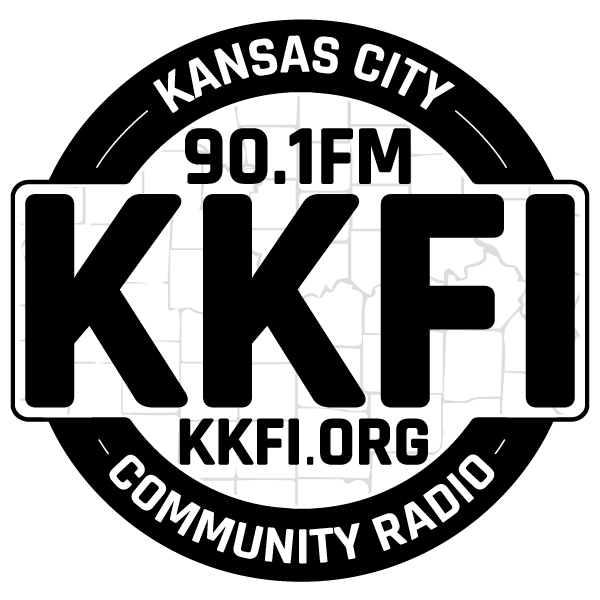 March 3, 2019 | 3:00 p.m.
Activist/author Medea Benjamin was in Kansas City on February 16th as a benefit for KKFI. Hear what she had to say. February 24, 2019 | 3:00 p.m.
Alex Martinez speaks with Tara Raghuveer from KC Tenants to talk about housing insecurity in Kansas City and what is being done about it. Carmen C. Moreno calls us from her cultural residency in Mexico to talk about the border crisis, re-connecting with her family and the juxtaposition in conversations about colonization as told by Mexico vs. US.